Exercise Your Way to Fit And Happy! Exercise is one of those things that you never ‘feel’ like doing. Actually, you tend to find excuses ‘not’ to do it. But once you’ve completed a workout you never say “I wish I hadn’t done that.” No, it’s just the opposite, you feel so good that you want to start working out more often! It’s like when you eat a light, healthy meal you say “Wow.. that was good, I’m gonna start eating better,” but of course it’s short lived and you go right back to your old ways. Why is this? Why is it that the good things in life are never addicting? No one that I know of is addicted to fruits or veggies, it’s always junk food that holds the grip! We have to battle our urges in order to live a healthy lifestyle! I don’t get it! Maybe life was meant to be a constant battle – and the way my life has been going lately I sure do believe it! I suppose it’s easier said than done, but we do need to take care of ourselves! Sure, it’s easy to get unmotivated, especially living in today’s world, but we can’t allow it to paralyze us! We all must care about our mental & physical state. Sadly, I see people who are battling with weight and ailments yet continue eating the same old foods, not exercising, simply relying on the doctors to solve all their problems. I wonder…what do they truly want out of life? I was like that once and I recall wanting change but not taking control of my life and MAKING change happen. The thought of a little hard work scared me. Nothing is easy in life – don’t we all already know that? And to better define ‘easy’, it’s not just physical strain we’re talking about…it’s also time and dedication! Change requires a lot from us, there’s no other way to look at it. In my situation, it took a lot of prayer! I never gave up on myself. In this Arizona – 114 degree heat, I find myself not wanting to do a thing! It’s just down right disgusting! But you know what? I have a pool in my back yard and that can provide me the exercise I need to get my blood flowing and some adrenaline going! With that said I’m going to sign off now and go swim some laps! May I suggest you do the same? Find something…anything, that you can do to get some exercise! In the old days (back when I was a kid) people would just exercise in their own living rooms and on the floors – doing sit ups, leg lifts, running in place, even jumping jacks! There’s no need to join a gym! So stop making excuses because you have what it takes right there within your reach! Like Dr. Leo Marvin says in the movie “What About Bob”…it’s all about baby steps. You have to start somewhere or else you get nowhere! Where, how and when are you going to start making positive change happen in your life? Caprese Salad! A Breath Of Fresh Air! I’m ITALIAN! And – with that said you can imagine how I LOVE Mozzarella cheese! Or, as we say amongst us Italians…”MOTZ -A-RELL!” But, I don’t eat dairy so “how can I enjoy this?” one might ask. If I haven’t said it already then let me say it now – there’s just about nothing that a person can enjoy in the ‘traditional’ style of eating that is not also available in gluten free, animal free, dairy or egg free! If you too are a Mozzarella cheese lover then you must try this – you won’t even taste the difference only that it’s better! “Follow Your Heart Mozzarella Vegan Gourmet Cheese Alternative” This is my gift to YOU today! Once you try it you’ll agree with how delicious it is! This afternoon I was in the mood for something light yet tasty! I had been thinking about the Isle of Capri and how breathtakingly AWESOME it is – wishing I were there @ this very moment! The thought of Capri reminded me of Caprese Salad and it turned out to be exactly what I needed to satisfy my hankering! No – I’m not missing out on a THING eating gluten free, animal free, dairy and egg free! I just don’t want you missing out! C’mon and join in – you’ll love it! Here are some mouthwatering photos for you to enjoy! MANGIA! What did potatoes ever do to deserve such a bad reputation? They never harmed a soul! The ancient Incas grew them and even worshiped them! When I went to Ireland I learned about the “Great Famine” which was caused because the potato crop became diseased. It lasted from 1845 to 1849, and caused at least one million people to die of starvation! So no wonder the Irish love their potatoes today and eat them with every meal! Quite frankly, potatoes are my best friend! All you ever hear about is how a potato is full of starch and makes you gain weight. But…wait a minute – what about the GOOD things a potato has to offer? How come those are never mentioned? Potatoes are LOADED with vitamin C, B-6, copper, potassium, manganese & dietary fiber. They have more potassium than a banana! Who would have known? We never hear these things! And by the way, potatoes don’t make us fat – it’s all the junk we load on top of the potatoes!! Sour cream, cheese, bacon…my GOSH! Oh.. and don’t forget about how you ‘cook’ them! Are you frying them? Are they grease ladened? Are they mashed with a pound of butter and tons of milk or cream? Hello! See what I’m saying? Potatoes themselves have NO fat, and LOW calories! They offer protection against cardiovascular disease & cancer! They are another gift from GOD to us, and yet they get put down all the time! When I was doing weight watchers years ago the potato was truly the best thing that ever happened! For those of you who are familiar with the weight watcher point system, you will hear me when I say the potato – and a big one too, not just a tiny one, is ONLY 2 points, and they are very satisfying to your tummy! To dress it up I would pour salsa on it which is 0 points, and maybe a spoonful of fat free sour cream, 1 point, if I really felt like splurging! See, as with everything in life, we need to take things in CONTEXT! Look at the whole picture, not just part of it. I guess if you were on a low carb diet then sure a potato may not be on your menu, but for someone who is counting calories and fat then it would be on their menu! And for people like me who eat gluten free, animal free, dairy and egg free – then you better believe it’s on THEIR MENU! And by the way… they are SIMPLY DE-LISH… so I actually feel sorry for those who are misled to believe the potato is not their friend – they are really missing out on a good thing! Just the FACTS! 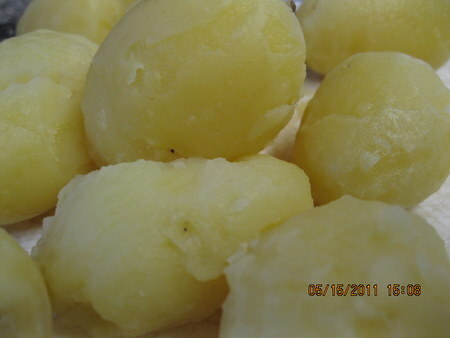 Enjoy some fresh boiled potatoes tonight, or maybe a baked potato with fresh homemade salsa on top! Mmm Mmm!! Thank you Mother Nature – once again! The moment you have all been waiting for has arrived! I’ve been very excited about my book and have barely been able to keep the title a secret! However, the time has come and I am pleased to share it with ‘you’ FIRST! Let the mysteries unfold! Let the story be told! 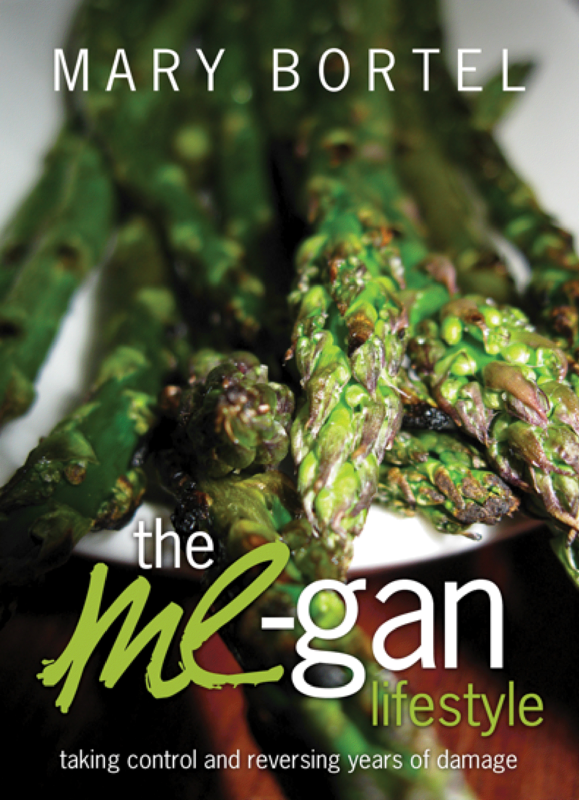 “The ME-gan Lifestyle” – Coming soon !! The Arizona Heat Has Me Beat! Ok, who out there remembers the old Nat King Cole song…Lazy Hazy Crazy Days of Summer? I DO! I DO! Ahh…what a great, refreshing song it is! They don’t make songs like that anymore!! A sure sign that I’m growing old(er)!! The summer days here in AZ make me more than lazy!! They simply wipe me OUT! I don’t care how much B-12 I take, or how much fruit I eat…and don’t forget all the wonderful ‘does-a-body-good’ veggies, I’m just TIRED! SO TIRED! I don’t know what I would do if I didn’t have a pool! In a couple more weeks it will be monsoon season! Just like life, the weather is always changing. Once you think you can’t take it anymore…CHANGE COMES! Hit’s you in the face like a blast of air! And soon after monsoon season it will be early fall! My son will be home from Afghanistan! T H A N K YOU G O D!!! I’ll have a 4th grandchild by the end of September…yes, the wind of change is blowing in my direction! Hopefully, by the grace of GOD, my book will be on the shelves in bookstores, and online!! I’m praying for success!! That’s the mystery of the future…we don’t know what lies ahead! Life can change in a split second! Yesterday my granddaughter Michaela Cecilia turned 1 year old! My how time flies. She is my oldest daughter Natalie’s daughter! I can’t even put into words how it seems like yesterday that Natalie was turning 1! So if you haven’t figured it out yet then let me put it out there for you…enjoy every minute of every day! Enjoy your kids! Enjoy everything! You’ve got one life, and one chance at it…live it, breathe it, enjoy it! In these dog days of summer I like to look at it this way: as with life, when things get us down, as this heat is doing to me, just know that GOD has a plan in store for each and every one of us…and things will get better soon! In other words, be HAPPY…and know that payoff is around the corner! So what does Mary eat on a hot day like today? NOT MUCH! Lee and I made use of what we had in the house – some fruit, some oatmeal, and for dinner we made a fresh pan of cornbread, this time with green chilies in it, and of course… BROWN BEANS! YUUUMMMMY! Now it’s time for a good movie, and to get ready for another busy week! Having once been a migraine sufferer, I can happily and honestly say that after going gluten free, animal free, dairy free, and egg free – THEY ARE NO MORE!! That’s right… they are gone! KAPUT! Except recently when I stopped drinking coffee…oh boy, that was a whole lot of fun! NOT! are fine. Other beverages—even herbal teas—can be triggers. dairy products – includes skim or whole ‘cows’ milk, goat’s milk, cheese (especially aged cheese), yogurt, etc. meat – includes beef, pork, chicken, turkey, fish, etc. LAST but not least Tobacco and alchohol! Nitrates & Nitrites! 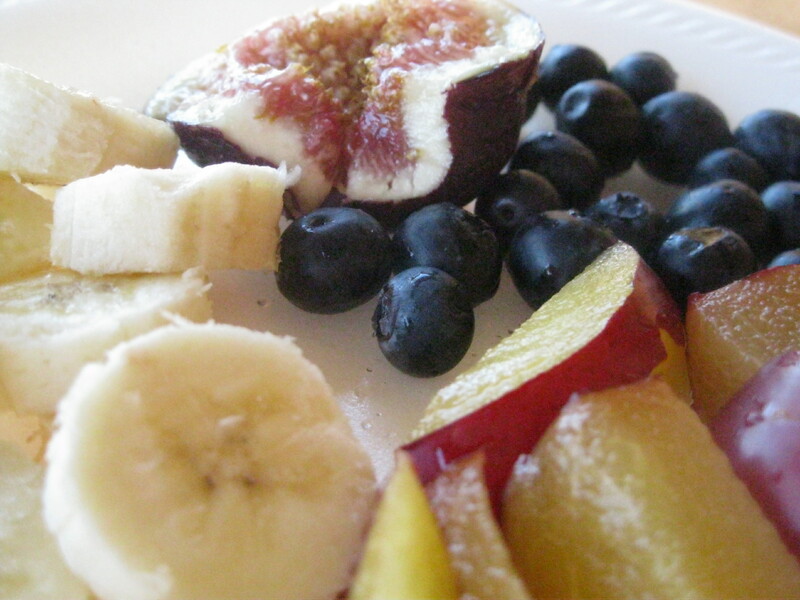 I have to say, however, I do LOVE bananas, apples, and citrus fruits – AND I DO EAT THEM! I believe that when you go gluten free, animal free, dairy and egg free, that these fruits will no longer be a trigger. I could be wrong, but I believe the trouble begins when people just eat anything and everything. They have no discipline and all that food gets eaten together! Talk about shutting your digestive system down or throwing it into shock! ‘BAD GAS!’ – does that ring a bell to anyone? Yep… it’s all that stuff just festering and marinating…causing pain, bloating, constipation, diarrhea, gas and migraines! Helllllooooo! You can’t just eat all that food, and expect to have it process together with no problems!! NO! It doesn’t work that way!! Ohhhh – I don’t miss THOSE DAYS of eating like that! No siree! Migraines are just a small part of it. Today people are suffering from tons of stuff. Things we never even heard of 20 years ago! It’s bad…and it all begins with our diet and how we live our lives! Are you happy? Are you healthy? Well if not, then it’s time to GET THERE! See, taking Excedrin, Ibuprofen, Tylenol…or any of the prescribed meds, is only a Band-Aid! We can’t live on medicine forever, why would we want to? It’s like blood pressure medicine…ok, are you going to take it FOREVER..or are you going to actually try to cure yourself of it – start eating better and exercising, getting oxygen into your blood? SEE…we all have choices in our lives to make, and those choices will affect us greatly! We need to make the right ones! Curing yourself instead of taking medicine, whenever possible, is the right choice! Change your diet, get healthy and GET HAPPY! B-complex has 11 members, and they are all critical nutrients for all things mind related such as: Memory, mood, and migraines! Yes, the right amounts of B’s can calm anxiety, lift depression, ease PMS (hard to believe anything can do this! ), and boost your energy! YEAH – sign me up for all of them!! Did I ever tell you that I suffered from Epstein-Barr once? Oh yeh…I did, and it literally stole one year from my life. It’s a GIANT MONSTER! The symptoms of this syndrome are fever, sore throat, swollen glands (lymph nodes), extreme fatigue (chronic fatigue syndrome), appetite loss, recurrent upper respiratory tract infections, intestinal problems, jaundice, anxiety, depression, irritability and mood swings, sleep disturbances, sensitivity to concentrating, headache, spasms, and aching muscles and joints. MY GOD!! There should be monument erected to anyone who can survive all of this! I had strep throat 11 times in one year! The doctors didn’t do anything but put me on antibiotics. I’m thinking maybe they should have removed my tonsils – what do you think? I mean I’m alive today, but I had to FIGHT the FIGHT! It was not easy. Between strep throat, and ALL the sypmtoms above – I truly can say I’m a survivor! But the sad thing is there is no cure. Doctors certainly couldn’t help me. It wasn’t until 6 months into this that I saw a program on Epstein-Barr and found out that Cher had previously suffered from it. Well everything they were talking about sounded like what I had, so I requested my doctor to test me for it (why hadn’t they thought of testing me for it? Doctors!! They just IRK me!) The test came back positive. But she told me that with this test they cannot tell if I had it in the far past, the near past, or present. What a joke. Well, I knew I was in the middle of it. My body told me so! It was clear to me that I would get no help…I had to help myself! It’s like the cure is for YOU to CRAWL out of the RUT you’re in, get your MIND OVER MATTER groove on and say NO MORE! Load up on B vitamins, pray like crazy and PRESS ON! And that’s exactly what I did! B Vitamins have become a friend of mine! Since Vegans do not eat animal, which is where we get B-12 from, it’s important to take a high quality B-12 supplement! But as far as other B vitamins we can eat bananas, leafy green vegetables such as spinach, potatoes, Brazil nuts, avocados, legumes, & oats. Stay healthy – get rid of stress in your life, serious…it’s no joke! Stress does kill. Stress is all around us, so technically you can’t rid yourself of it, but you can MANAGE IT! And, YES…SOME OF IT you can get rid of! Bad relationships, controlling people, negative people, bad habits….on and on! So figure out what you can get rid of and do it! The rest you’ll need to manage. Take Yoga, learn to breathe! Have Faith and live in the moment! Remember all things pass in time. 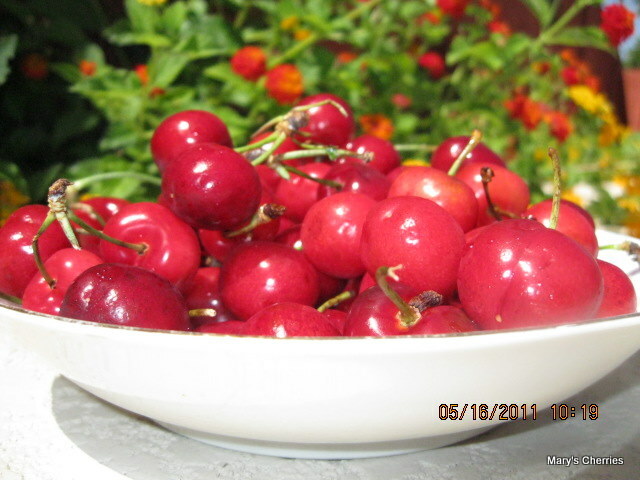 Life is a bowl of cherries, learn to spit out the pits! Coffee or no coffee, is caffeine really that bad? Sometimes I think I’m just one lonely noodle short of a bowl of spu-gett-ii !!! Here I am living in Phoenix, AZ where the weather is hot enough to cook an egg on the street! If I only had an egg in the house I would try it! I guess I could try it with a sprig of asparagus or perhaps even a slice of eggplant! LOL!!! Why I live here just boggles my mind! But that brings up a good point, and that is…I think my brain is cooked! I quit drinking coffee about a week ago, and boy oh boy has my body felt it! I thought I was all cool, saying “I only drink a cup a day, I can’t be addicted to it,” well guess again! I’ve had migraines every day and have been completely – S L U G G I S H !! The migraines are subsiding though, this is good news! I’m at a crossroads! Now that I’ve proven to myself that I am (or was) addicted to caffeine without really knowing it, do I go back to drinking it or just give it up once and for all? Why does life have to be so cruel sometimes? I LOVE coffee! I looked forward to each morning…smelling the aroma of fresh brewed coffee and then…aah – the first sip! Do I really need to give it up? Let me rationalize for a moment…I don’t drink it all day long, no I only have 1, MAYBE 2 cups at most, in the morning! Do I really need to deprive myself of this simple pleasure? Some answers just don’t come that easy. I don’t like to over think things, but c’mon – this requires some major thought! This should be a simple decision, yet it’s not. I’m truly perplexed! You know, when it came to going gluten free, animal free, dairy and egg free, it was as plain to me as night and day. First of all, my body was talking…actually “SCREAMING” and therefore I really did have to listen! I had no other choice. Well, I could have continued living with pain and all my many other symptoms, but that would have not been a wise choice. Secondly, it’s just a smart decision if you ask me, it just makes sense! Fruits and vegetables aren’t what cause high blood pressure or high cholesterol. It’s all the ‘bad food,’ which happens to be exactly what I cut out of my diet! Sure it took some discipline, but when my health is on the line it’s not hard for me to do! Coffee on the other hand…I need to think about it! As little as I drink is it really a problem? Any suggestions??? If a man can’t drink, can’t smoke, or eat fattening foods, then what the hell use in living is there? Well, I guess everyone in my family thought that was pretty prophetic or ‘something’ because it was kept out where everyone could see it! Was this supposed to be equal to say perhaps a message from ‘BUDDHA?’ LOL! Gosh, I hope not! I could have that same plate here now but only saying “Why LIVE if living is without Coffee! !” Hahaha!! As always, peace and love to you! My body acts like a hot blooded Italian sometimes! It just flies off the handle and I mean it SCREAMS, SHOUTS, and KICKS!!! But this is only when it’s not happy! Also like the hot blooded Italian, it purrs like a kitty when it’s content! Here’s the deal-i-o, I found this really awesome looking sunflower seed bread, wheat free. Even on the label it says “Wheat Free.” Yes…’Rye’ is one of those things that is always up for debate as to whether it is gluten free or not (BASED on how it’s processed), but either way I have my OWN answer now… IF YOU HAVE A GLUTEN INTOLERANCE DON’T EAT IT! I learned a lesson last night, just because something says ‘wheat free’ DOES NOT mean it’s ‘gluten free’ !! I was up all night long because I ate 2 slices of this bread!! I’m kicking myself because I should have known better!! SHOULD HAVE; WOULD HAVE; COULD HAVE!! Ahhh…if I had only gone with my gut feeling! …OMG! C’mon! GLUTEN is WHEAT – they are misleading us, lying to us and in the end, as with me, caused ME MUCH PAIN!! I’m still feeling it. My body is not happy! As the old saying goes…FOOL me once shame on you, FOOL me twice shame on ME! There will be no second time MESTEMACHER!! Siehe später, und haben Sie einen GROSSEN TAG! I’m so excited to say that my 1st book is coming along just great, and right on schedule!! I can’t wait for it to hit the bookstores!! Keep your eyes and ears open for more updates!! Soon, I’ll be moving on to book #2! For now, as always – just loving, living and eating the most delicious food on this planet! Here in Phoenix it’s hitting around 115 these days! But it’s a dry heat!! WHOEVER SAID THAT WAS JUST LAME!! IT’S HOT PEOPLE, HOT!! Stay cool and hydrate yourself!! !